The Extreme Rush Obstacle Course is 78 feet of fun and features four sections of crazy head-to-head fun & excitement, and a giant slide finish! 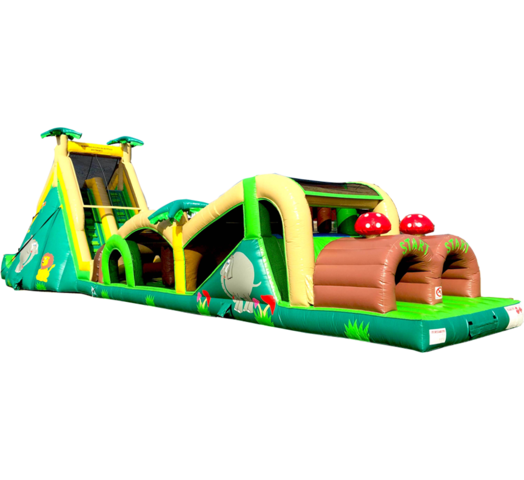 Any group of kids or adults are sure to be entertained and captivated for hours by the Extreme Rush Obstacle Course. The breezy palm trees and color scheme brings an element of fun to your event location. This unit features all of the most recent safety updates. PLEASE NOTE: This unit requires 2 separate electrical circuits within 100 feet of setup area.